The West Highland Way is one of the best hikes in Scotland. Why? 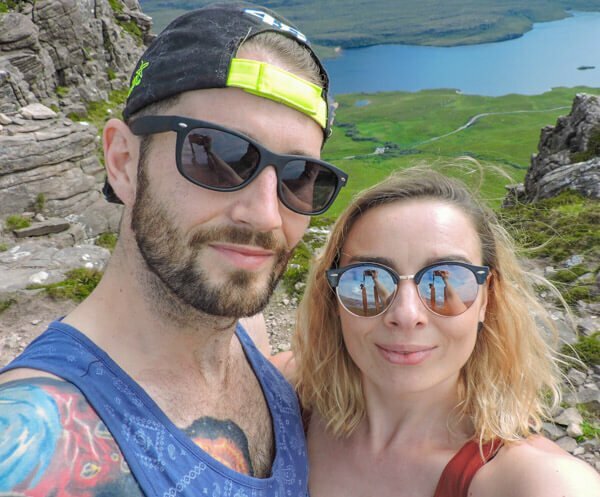 Because revellers trek through the rolling hills and by the calm lochs of the west coast of Scotland which is deemed to be one of the most beautiful areas in the country. This 96-mile hike starts just outside of Scotland’s friendliest city, Glasgow at the town of Milngavie (pronounced Mil-guy) and ends at the outdoor capital, Fort William. 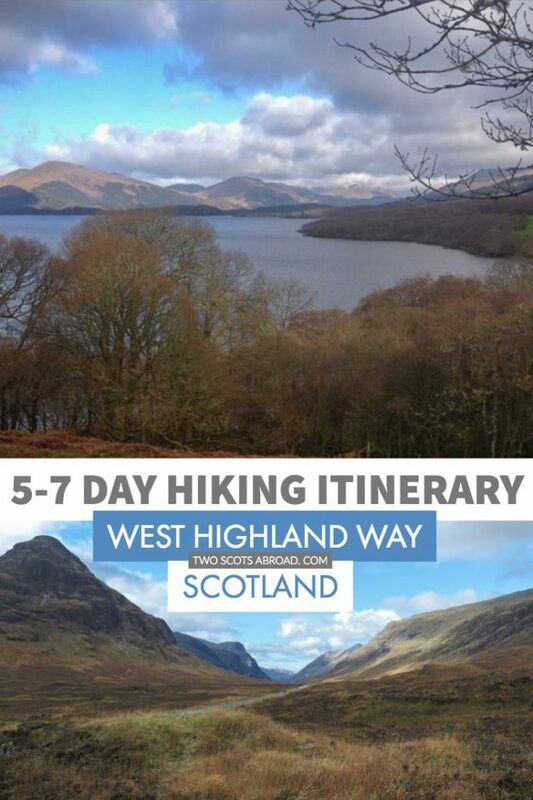 Walking the West Highland Way – 5 days is the most popular time frame however many visitors like to take longer, covering fewer miles in each day and spending more time in the towns, villages or campsites of the west coast. The longest day of the 5-day route is 22.5 miles with the shortest being the last (15 miles). Refreshment stops and a variety of types of accommodation can be found in most areas. There is no strict way of planning your West Highland Way hike but all routes begin in Milngavie. The first day is relatively easy. The West Highland Way starting point takes places in Milngavie and is identified by a large cement monument on Douglas Street. Next head through a small car park behind Milngavie’s town centre shops. The first stretch takes you along fields and farmland all the way to Dumgoyne where you can buy refreshments at The Beech Tree Inn and then on to Drymen (another refreshment or overnight stop). The next stage is on to Conic Hill, which is a little trickier to find. Keep an eye out for the signposts (marked with the thistle) which take you through a forest then up and over Conic Hill with stunning views of Balmaha. Alternatively, keep walking through the village to Rowardennan. Personally, I found this leg relatively easy, hopes were high and the weather was dry! Unfortunately, one member of our group could not go on at this stage and was picked up in Balmaha (she rejoined us at Bridge of Orchy). Leaving the beautiful town of Balmaha with Loch Lomond at your side, walk past the shores to Inversnaid (refreshments at Inversnaid Hotel). Here a small passenger ferry runs to the opposite side of the loch for non-hikers. Next, it’s on to Inverarnan, sleeping options include hotel, camping or huts. This is the longest day of the West Highland Way hike and if it is raining you really can suffer. 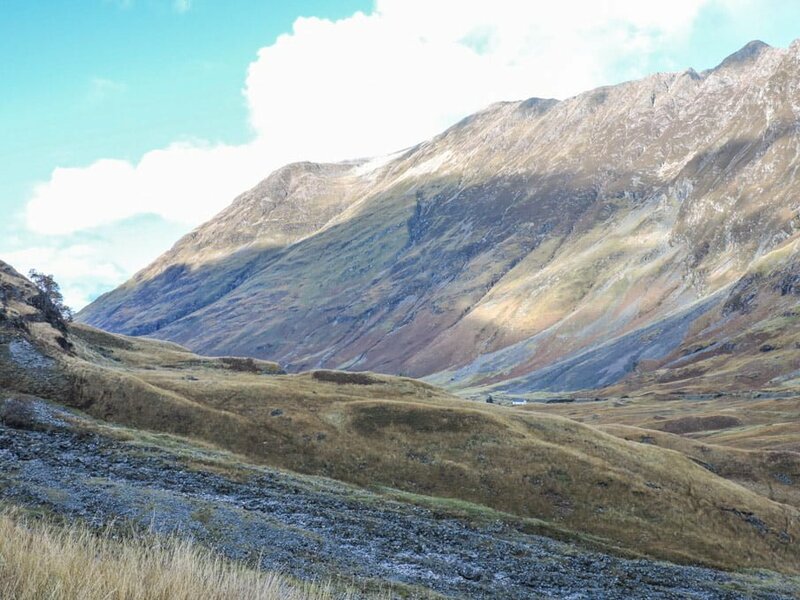 The first leg takes you through farmland and on to Strathfillan (refreshment stop/small shop) then easier terrain to Tyndrum (the famous touristic Green Welly Stop serves food and snacks). Some Wayers may choose to stop here for the night to break the hike into 6 days. Others may continue on to Bridge of Orchy which has one hotel, B&B and two hostels. A bus from Glasgow runs to and from Bridge of Orchy. The village also has a train station with unusual accommodation! This day includes walking over Rannoch Moor which can be brutal if the weather is poor (no coverage) and then on to visit the friendly deer at Kings House (refreshment stop). This is where our party stopped for the night (we completed the West Highland Way in 6 days). Next, head behind the King House Hotel/Bunkhouse to the Devil’s Staircase which is not as scary as it sounds! Again, the weather can be against you at this leg. The descent leads you into Kinlochleven which has a handful of restaurants, accommodation and a Co-op shop. It really is cool getting to sleep in a valley for the night. The final day starts with a tough climb which rewards you with views of the valley. As you head towards Fort William, views of Ben Nevis which become apparent. Some Wayers rest for the night in Fort William then tackle the UK’s highest mountain the next day. Will you? How long is the West Highland Way? The hike is 96 miles starting at Milngavie and ends in Fort William. What is the West Highland Way weather like? You can expect four seasons in one day in Scotland. The west coast can be especially wet. May tends to be one of the nicer months, April-October will be more pleasant that October-March. Dark nights creep in around 4pm during winter. Is the West Highland Way wild camping friendly? Wild camping is legal in Scotland which is great for those looking to keep costs down. Be sure to read the Scottish Outdoors Access Code for rules which include being respectful of locals and animals, picking your rubbish after you, not parking close to roads. 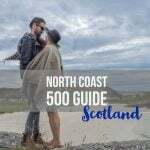 We talk extensively about this in our camping guide to the North Coast 500 (very popular road trip in Scotland). I’m a solo traveller, do I need to do the WHW myself? We’re a social bunch in Scotland, why not join one of the many West Highland Way tours? During the peak months, the route is like M9, busy! 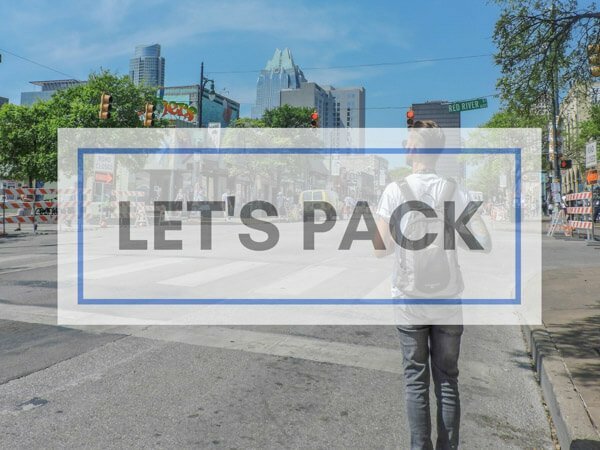 There is a good chance you will meet fellow Wayers at each stop if you don’t want to commit to a tour. 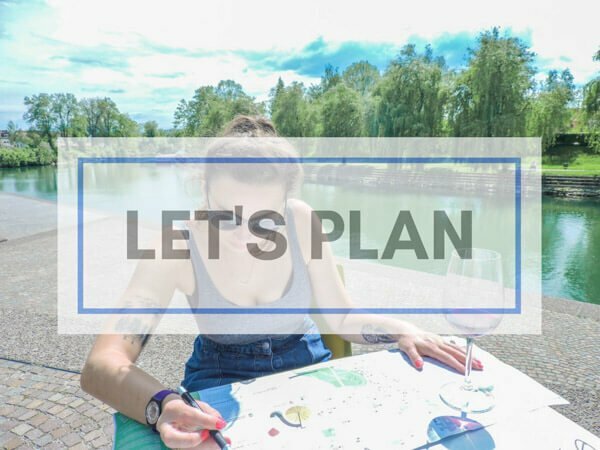 Another option is to do a callout in one of the many Europe backpackers Facebook groups or a Scotland tips Facebook group? These groups have developed into great wee communities for those looking for support and ideas. How bad are the West Highland Way midges? Smidge, UK only to ward them off. What are your biggest West Highland Way tips? There is every type of accommodation along the West Highland Way which makes the trek very inclusive of all budgets. Wild camping keeps costs down and campsites throughout the route offer basic facilities. Hostels with drying rooms and kitchens can be booked at Balmaha, Tyndrum, Bridge of Orchy, Kingshouse and Kinlochleven. Bed and breakfast guest houses are very popular in Scotland and found at each stop of the Way. Most of these bed and breakfasts offer packed lunch service too. Staying in B&B is a really pleasant way to do the WHW as you get to meet locals and enjoy a hearty breakfast before you trek again. 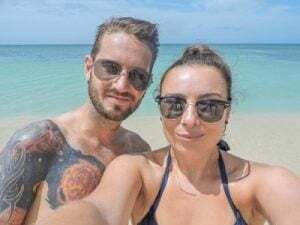 Hotels are also available throughout, naturally, these are pricier than the alternatives mentioned here. 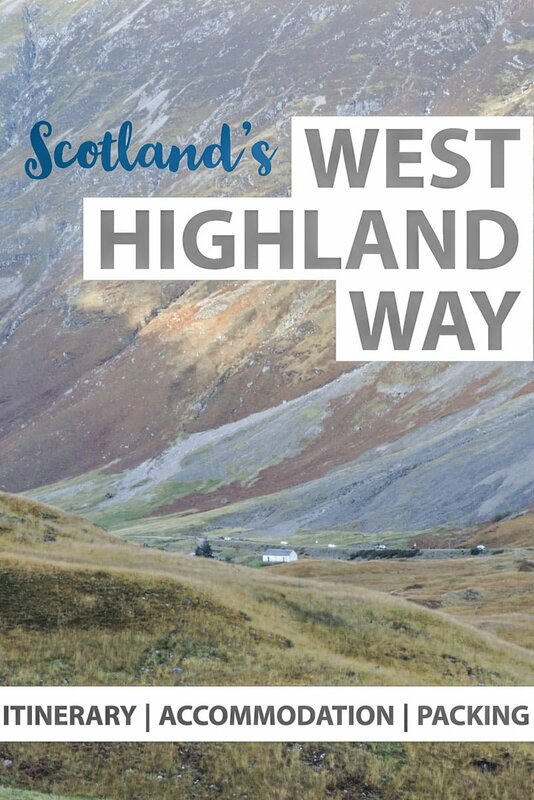 This West Highland Way route planner can be adapted to meet the needs of any hiker. If you plan to bring your dog remember to check where lambing season is taking place as you won’t be able to walk through that area and keep your pup on the lead as they do double the number of miles that we do which can blister their paws. Why not pin to your Scotland board? Any questions? Ask in the comments below. This is such thorough advice. What a trek! Very impressive. I’d love to do it someday, I’ll keep this in mind! It was beautiful. My aim was to see more of Scotland before we left and it was a great way to do so! Brilliant. Shout me if you need any questions answered! Haha cheers! I certainly will! 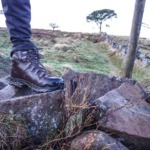 I am loving these posts on the West Highland Way! I went on a tour of the Scottish Highlands over a year ago and heard about this trail. It’s been on my list ever since, and I’m thinking about doing it this summer. Quick question, how in shape do you have to be to do this trail? I mean, I’m not a couch potato, but I’m no athlete either! 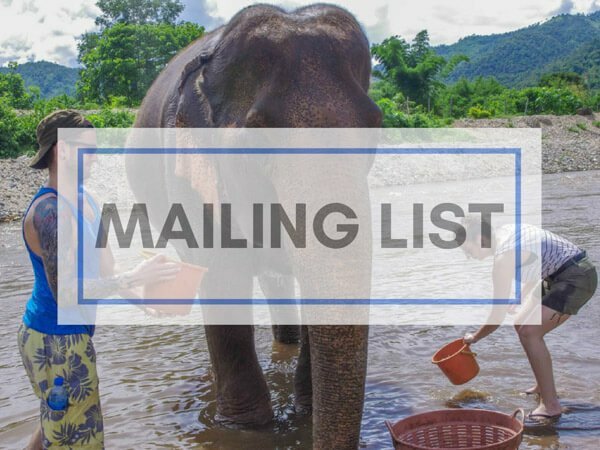 Very happy that you are finding them useful, it’s on my ever growing ‘to do’ list to spruce up these WHW articles! It’s more of an endurance test I’d say. Just make sure that you get out on some long walks (the longest I did was 3 hours before it, oops, but I did go to gym classes most days so my fitness levels were decent). I’d say the vital thing is to have walking boots / shoes that are well worn in, I learnt the hard way and damaged my Achilles! It’s such a great walk, looking forward to doing it again in the future! Hello, We are a short trip to Scotland planned from June 30th – July 4th. A total of 5 nights. I wanted to do three of the nights on this trail, and would like your recommendation for a 3 night itinerary. I would recommend taking the bus from Glasgow to Bridge of Orchy and completing our day 4, day 5 and day 6? 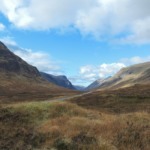 You cover two of my favourite areas – Glencoe and Kinlochleven (hiking out of the valley). You also would finish at the official line in Fort William then you could take the train on to your next spot or return destination. Where else are you going? Sounds exciting! This is perfect! I’m actually planning to hike the West Highland Way in five days this year. I tried a couple years ago but my hiking buddy bailed after three days and I had to go with. Thanks so much for this! I hope it all works out for you this time! Let me know if you need any advice. Thanks! I’m thinking I’ll hike either mid-April or mid-May, depending on my trips. Would love a partner, but now know it’s busy enough to do solo and not worry about being alone. I did it in April! The weather was as to be expected. It is a busy route and there are hostels on the way if you are looking for something more social! 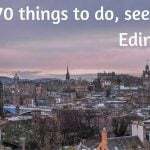 Have you tried asking in Scotland Travel Society FB group for a buddy? Great article! We were walking WHW last summer and it was awesome. It’s such a great trip! Thanks for reading and glad you had a successful trek. I’m thinking about doing this trip but want to scale back. I’d like to hike for 5 days but try and keep hiking to 15 miles a day. Any recommendations on certain legs that can be skipped by taking bus/train/boat? I’ve never been to Scotland so as much as I love to hike, if I am coming all the way from Los Angeles there are other places I want to visit. I just hiked a portion of the Haute Route in Switzerland picking and choosing only certain segments and it was ideal for me. Public transportation there made that very easy in Switzerland so thought I would check on options along this route. Morning Steve, yeah we don’t have the public transport up in the Highlands that Switzerland has! You can take the bus from Glasgow to Bridge of Orchy and start from there. That would you take you through Kingshouse/Glencoe and Kinlochleven to Fort William. Use the guide and supporting articles to work out how many miles you would want to do on each day. You would then get a train back to Glasgow or Edinburgh from Fort William. We did a self supported (tenting) hike here 2 years ago. We very much enjoyed it …however…in 5 days you say!! Ouch!! We did it in 8 plus one day to hike Ben Nevis. I would not recommend anyone doing this in 5 days. Immediately after finishing the WHW we took the Jackobite (Harry Potter Steam Train) to Mallaig then ferry to Sky. Bussed to the top of Sky (stopping at Portree to stock up). Then spent another 8 days hiking the entire Sky Trail The WHW is beautiful but Sky is stunning!! We did it in 6 [I do say that in the guide :)] 5 seems to be the most searched for term though, I think people are over ambitious. That sounds lovely! I’ve been on the same train and to Skye but on different trips. We’re actually heading to the Isle of Lewis and Harris next week – dream trip. This is intense! I would absolutely love to do something like this when my kids are older. I bet the freedom is exhilarating! Haha! It was intense but loved it. I’ve still to do the day that I had to sit out. 2019 goals!